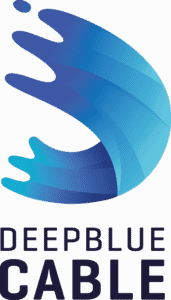 September 17, 2018 — Deep Blue Cable, the developer, owner and operator of a state-of-the-art subsea fibre-optic system providing connectivity across the Caribbean islands and to the Americas, announces today that its Director of Permitting, Nigel lrvine, Chief Executive Officer, Stephen Scott, and Chief Technology Officer, Alasdair Wilkie, will speak at Submarine Networks World 2018, taking place 24-26 September in Singapore. As one of the masterclass leaders, on Monday, 24 September, at 11:05 a.m., Mr. Irvine will speak on the topic, “Part Three: Best Practices in Permit Acquisition,” which will inform attendees about successful subsea cable permit acquisition, as well as managing permit delays. Directly after, at 11:35 a.m., Mr. Irvine will join other subsea cable executives to speak on “Part Four: Closing Panel & Q&A,” to hear stakeholders perspectives on how the industry can collaborate to manage the permitting process. On Tuesday, 25 September Mr. Scott will host a project development roundtable at 2:15 p.m. The following day, Wednesday 26 September at 3:10 p.m., Mr. Wilkie will moderate a maintenance service providers’ panel, “Perspectives into Industry Dynamics and Key Challenges,” which will discuss the current and future challenges of the maintenance of subsea cables. Monday, 24 September at 11:35 a.m.
Tuesday, 25 September 2:15 p.m.
Dave Willoughby, Managing Director, Ocean Specialists, Inc.